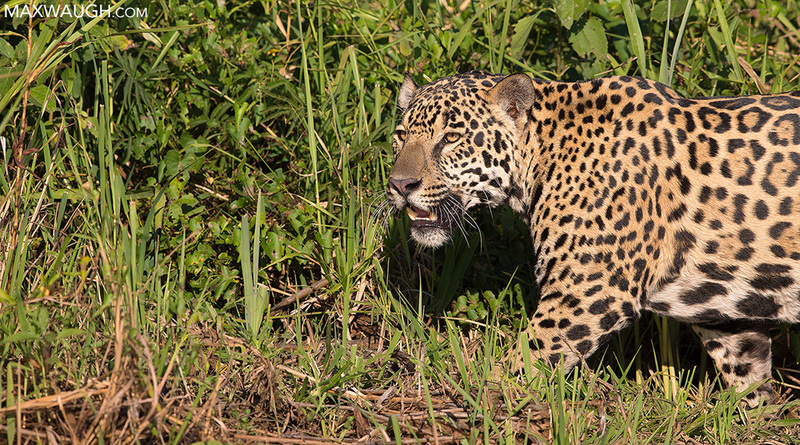 Jaguars are the main attraction in the Pantanal. We had several encounters, and were lucky to witness a lot of interesting behavior, from hunting, to tree-climbing to interactions between different cats. There's loads of other wildlife in this region, including thousands of Yacare caiman. 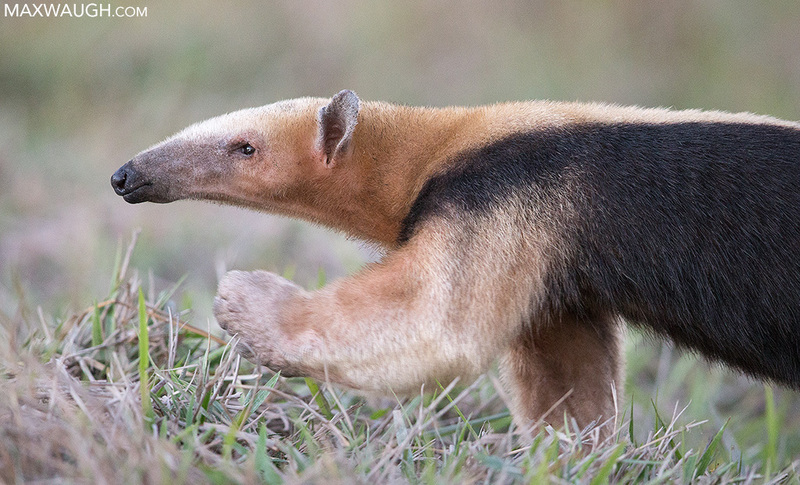 There are a couple of types of anteater in the Pantanal. This is the southern tamandua. Giant otters were frequently seen along the rivers. Our final jaguar of the trip was unique in that it had orange eyes, compared to the yellow eyes seen in most of the other cats. 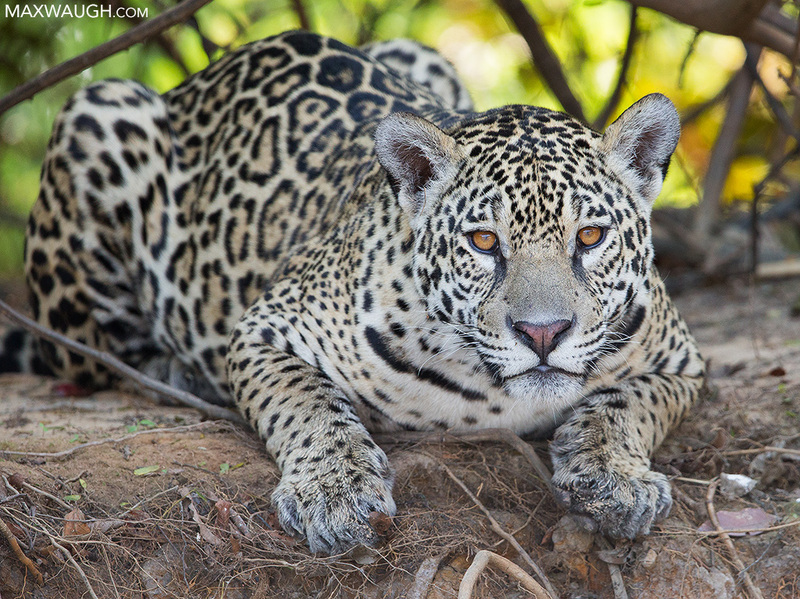 The orange-eyed jaguar was stalking a giant otter den. 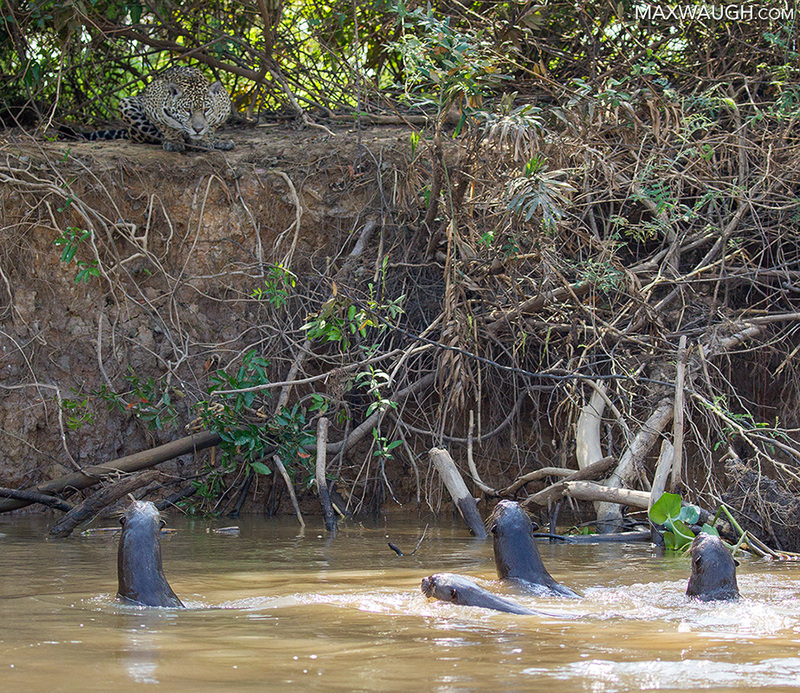 Every couple minutes, the adult otters would emerge and challenge the jaguar before disappearing again. Ultimately, nothing ever came of the showdown, but it was cool to witness. See the full photo gallery on my site. By the way, I have only two spots left on next year's Brazil tour if you're interested in photographing some of these species with me during my next visit. Man I gotta get there one of these days. Jaguar shots are awesome ! Must have been great to see them. 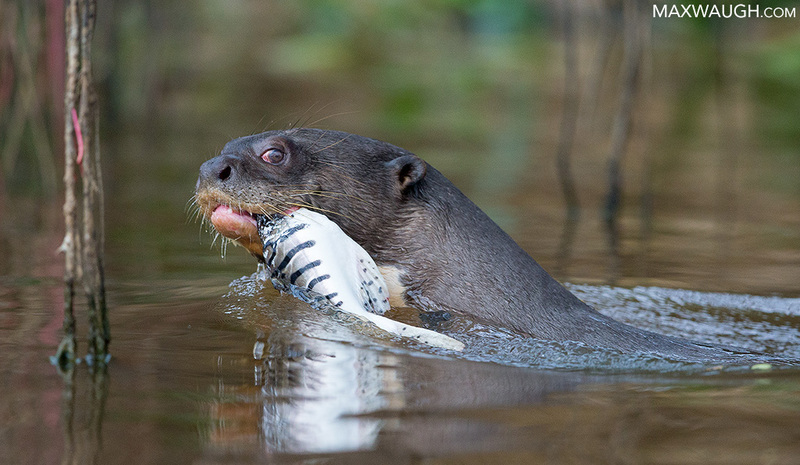 Don't mess with those Amazonian otters. 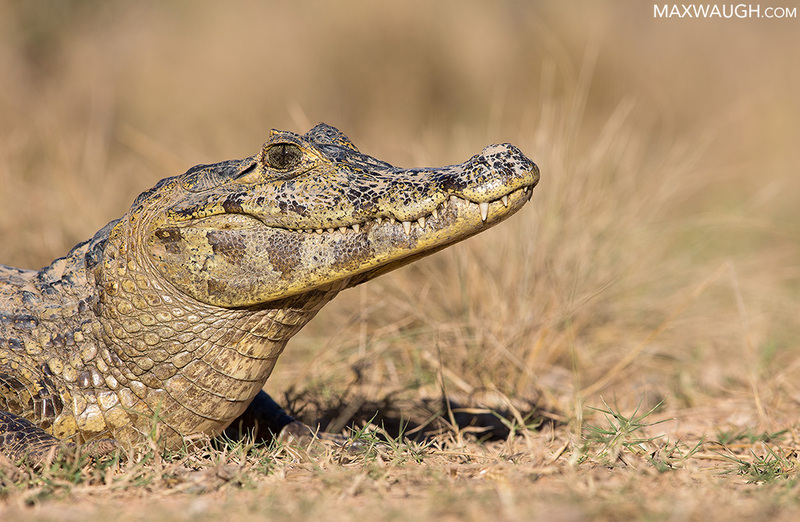 I've seen video clips of them killing really large caimans.